You may remember that last year we were knee-deep in makeovers of both our kids' bedrooms, and I am so glad that we did them back then. If we had had to think about renovating their bedrooms now, on top of all the other things we still have to do on the house, I think I would have cried! 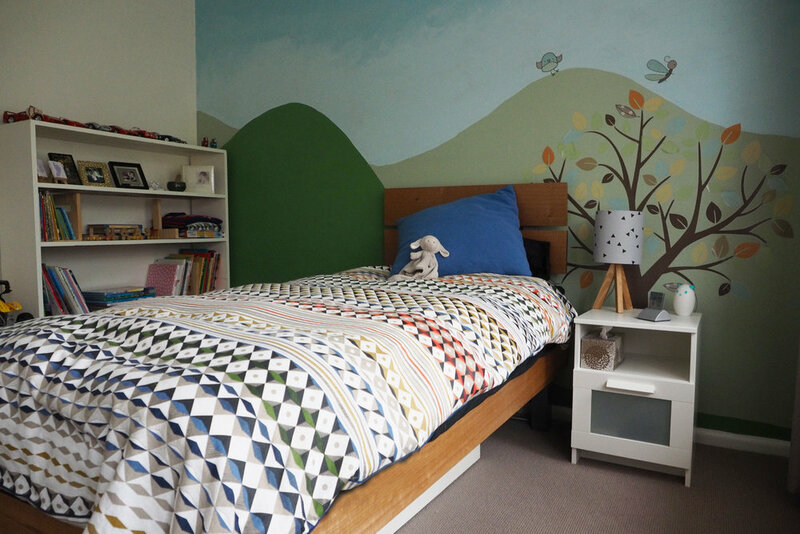 (Here's my daughter's bedroom makeover and here's my son's if you missed them). At the end of our renovation, all that needed to be added to these rooms was new carpet and ceiling fans. I also wanted to do quite a lot of decluttering in these rooms, so it would be easier for the kids to find the toys they really love playing with, and we weren't holding onto things that were rarely used or needed. PSST... Want to learn the exact method I use to declutter effectively? Get your free checklist on the button below! 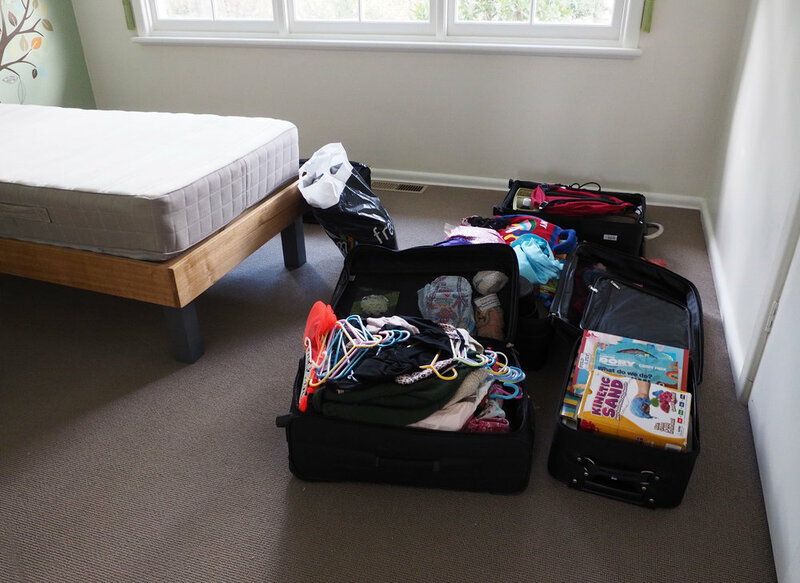 My Mum and I spent the week before moving most of the smaller items out of the rooms, and my husband and I moved the larger pieces of furniture into the other already-overflowing rooms. You could barely move in most rooms of the house during this time, it was crazy! With now-empty bedrooms, we were able to give everything a good vacuum, dust and clean, including the skirting, window sills and windows, and wall photo frames. The following day, we brought up most of the kids' belongings from my parents' house, including toys, clothes, and books. I used the 'rolling method' to pack their clothes in the suitcase, and kept clothes to be hung on their hangers to make for an easy transfer straight into their wardrobes. Toys in baskets remained in their place, and everything else was packed in carry bags. It was pretty awesome to have these lovely empty rooms ready to be filled. And there's nothing like smell of new carpet, amiright? 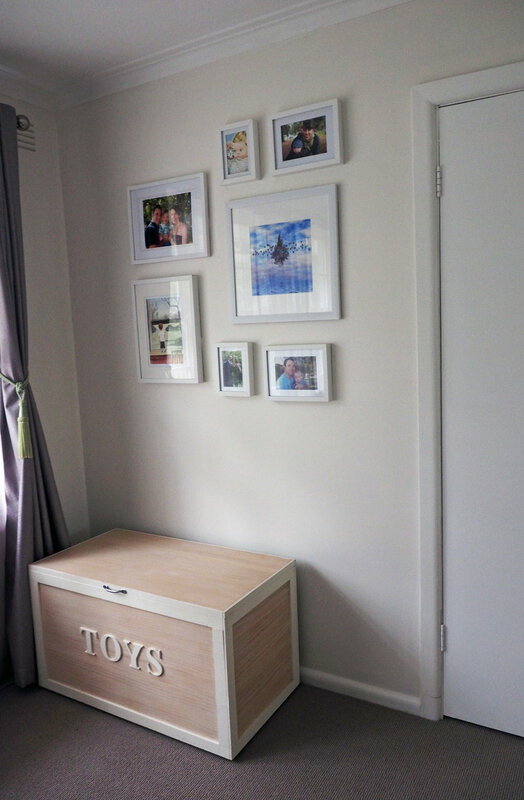 We started by bringing most of the larger pieces of furniture back in, including bookcases, dress-up box and beds. My Dad got stuck into drilling (because I know that this definitely isn't my area of expertise!) and everything was ready to be unpacked properly. We spent that afternoon doing a bit of sorting, but unfortunately, I wasn't feeling very well and just couldn't get my head in the organising zone, so we didn't get as much done as I'd hoped. We unpacked some of the easier things, like clothes, but mostly the rooms were left with piles and piles to be sorted. This was Day 2, although it definitely wasn't a full day. On Friday - our actual moving day - I was feeling more prepared and ready to get stuck into some serious decluttering and organising! Although I was going from room to room doing bits and pieces, I was mainly focusing on completing the kids' rooms. As I spoke about in my last post on lessons learned from moving house, I really wanted to do a lot of decluttering and purging of the kids' things as we set up their new spaces. I mean, we had literally left half their toys at the house for 6 months and they did not miss them at all, so it made me wonder just how many toys they actually need! My babes have got pretty great imaginations, and can dance around the house in dress-ups for hours... so I was more than ready to do some toy culling. We had also decided that we were no longer going to store toys and books out in the living room like we used to, so it meant more toys needed to be sorted within their bedrooms. We are lucky to now have a nice big spare room that used to be our bedroom, where we can store [to be sorted at a later date] a lot of the bigger toys that take up a lot of room. As I sorted through toys and books, I always had in the back of my mind - do the kids use, need and love this? If the answer was no, it went in the donation bag. I found books a lot harder to sort through than toys, but I did my best to only hold onto ones they enjoy reading. BONUS: Get your decluttering sessions going in the right direction with your checklist of the essential steps - grab it by clicking on the button below! I also sorted through clothes that no longer fit properly, were hardly worn or were looking tatty. Although decluttering can be hard work, once you actually get going it is easier to make quick decisions, and it is so rewarding when you're looking at a more clear and clean space. It also makes putting things back in place so much nicer! I made a few changes to his closet as well, adding a shelf, rearranging and clearing it out a bit. I still want to make some new labels for the drawers, but you know.... priorities. And here's my daughter's room completed! The kids are both loving hanging out in their rooms, either on their own or with each other, and are rediscovering the joys of the playing with the toys they really do love. And, in my opinion, that is exactly what makes getting organised so worthwhile! by decluttering your home... and your life! Older PostA sneak peek at our new kitchen!